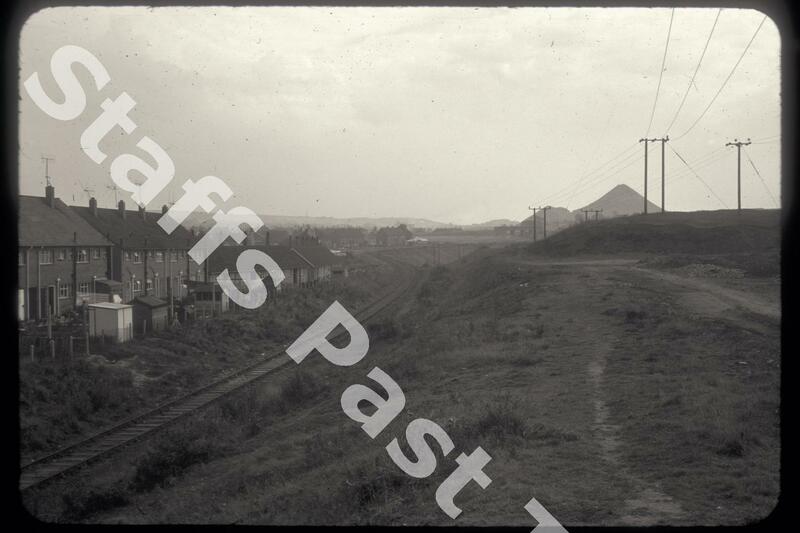 Description:This photograph was taken from the Arbourfield Drive bridge over the Adderley Green to Bucknall mineral railway line. The spoil tip in the distance belongs to Mossfield Colliery. 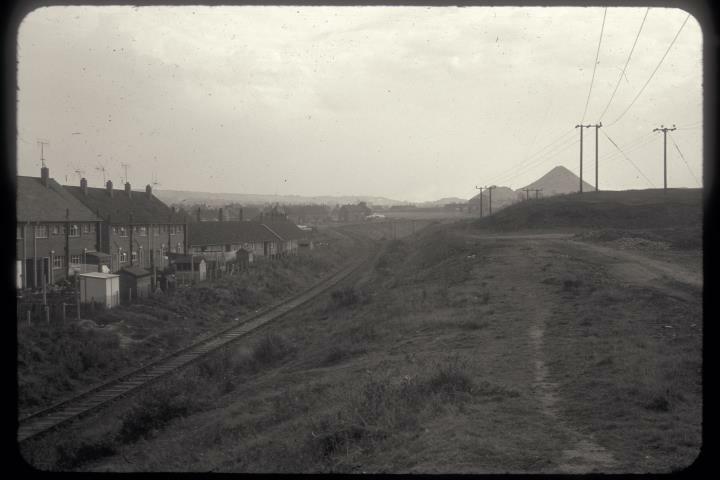 The houses on the left hand side are on Youlgreave Avenue. Almost 5 miles long, the railway opened, after many delays, in 1875. The line was closed in 1963 and 1964. The line has been dismantled, but the route remains as footpath. Road & Railway Tracks Railways N.S.R.